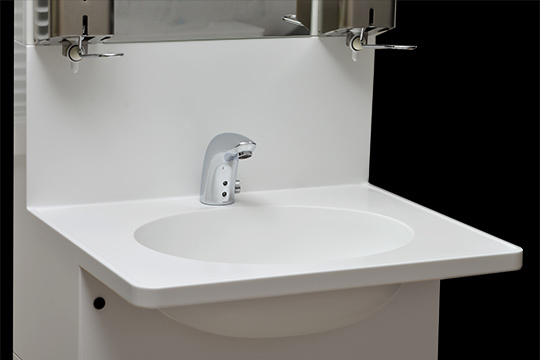 The Hygiene Module is a novel modular handwashing station. 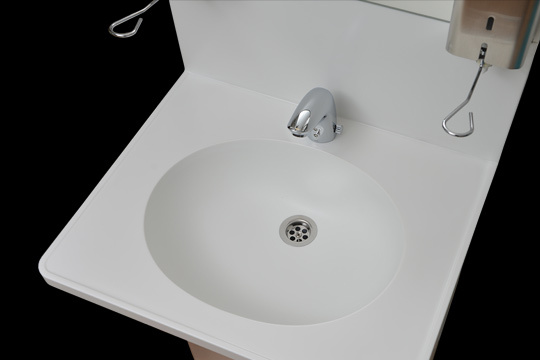 A basin, mirror, disinfectant and lighting are all included in this modern and functional unit, which is easy to install and maintain. 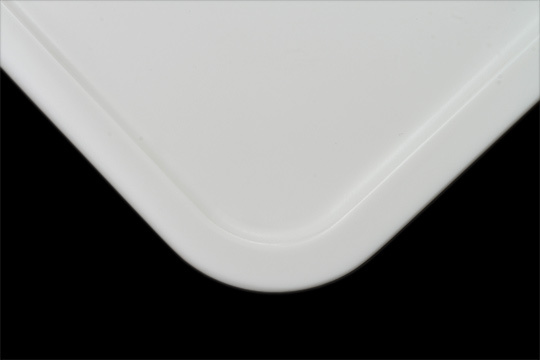 Each Hygiene Module is equipped to suit the customer’s requirements. The Hygiene Module HM60E is installed into the prepared space as one complete unit, instead of a traditional, multi-stage installation. 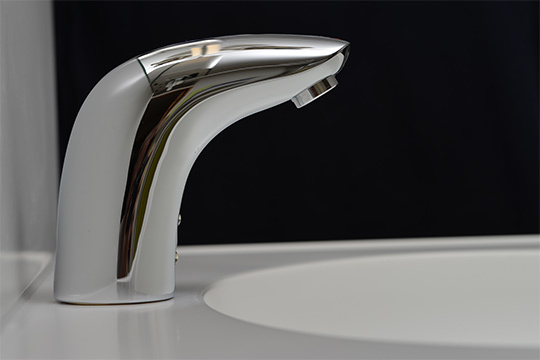 The Hygiene Module is connected using quick-connect fittings, after which the product is ready to use immediately. The position of the module can be adjusted laterally during installation, by the same distance as the internal measurement of the installation space, i.e. approx. 450 mm. 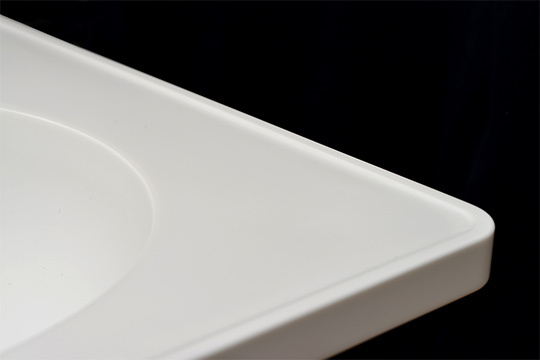 The Hygiene Module can be disconnected, moved and reinstalled. 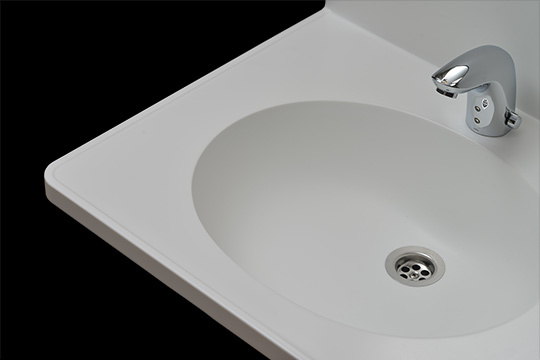 Standard equipment Corian sink top, hands-free mixer tap, dispensers, mirror and LED lighting. 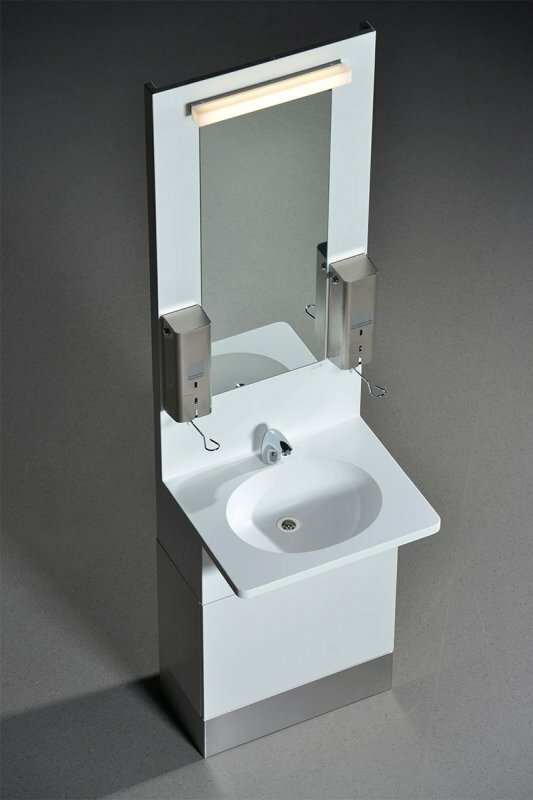 Structure and material Powder-coated metal frame, Corian sink top and splashback, upper and lower parts laminate on a damp-proof frame, stainless steel dispensers, coated mirror, stainless steel base. Colours Standard colour: white, other colours on request. Further information Download the product brochure here: NewHygien_HM60E_en.pdf and NewHygien_HM60E_en_2.pdf! Delivery and installation instructions direct from the supplier!